Rose Bunch Bargains at Dierbergs – Last Day! 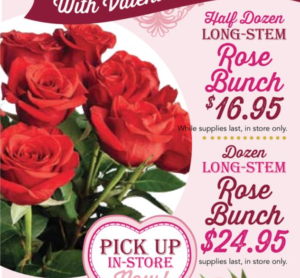 This week at Dierbergs, you can get a half dozen long-stem rose bunch for just $16.95! You can get a dozen long-stem rose bunch for just $24.95! Valid while supplies last.